NEW Improved 9310 Material. The 4.57 r&p set for VW 002 is the first ratio available in our brand new Weddle Sportsman line of ring & pinions, all of which will be made from aircraft quality AISI 9310 gear steel. 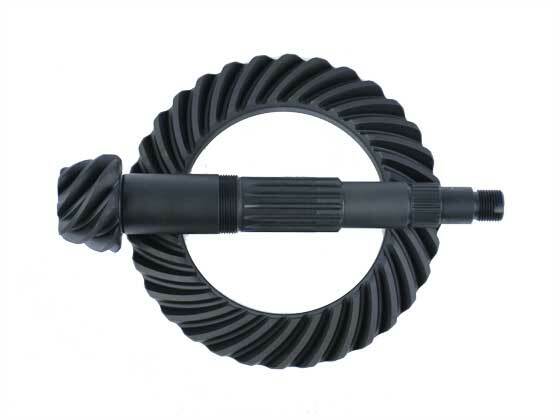 This high end material, combined with a special heat treating process, offers a big improvement in strength over the less expensive 8620 steel commonly used in "econo" ring & pinion sets. Features: In addition to the upgraded material, all of our Weddle Sportsman ring & pinion sets are shot peened after heat treat to provide extra fatigue resistance and increased durability. The teeth are cut to the Gleason profile, and shafts feature rolled 4th gear splines, precision ground bearing journals, and high quality fits and finishes throughout. Dollar for dollar, our new Weddle Sportsman r&ps are a great value over the "econo" sets currently on the market. Additional ratios and configurations coming soon! For more info, call 805 562 8600 or email us.